Mal Catlyn can't stay in the English court much, having made enemies in his previous adventures, so he's been living on his family's estates in France. With him is his trusty valet Coby Hendricks, in actuality a young woman who has been secretly living as a man. Mal's life is complicated by his connection to the skraylings who have come to Europe from the New World, he and his twin brother share the soul of one of these ancient and mysterious people. This connection leads Mal to Venice, where he an his companions must figure out how to undertake their covert work in a foreign city. 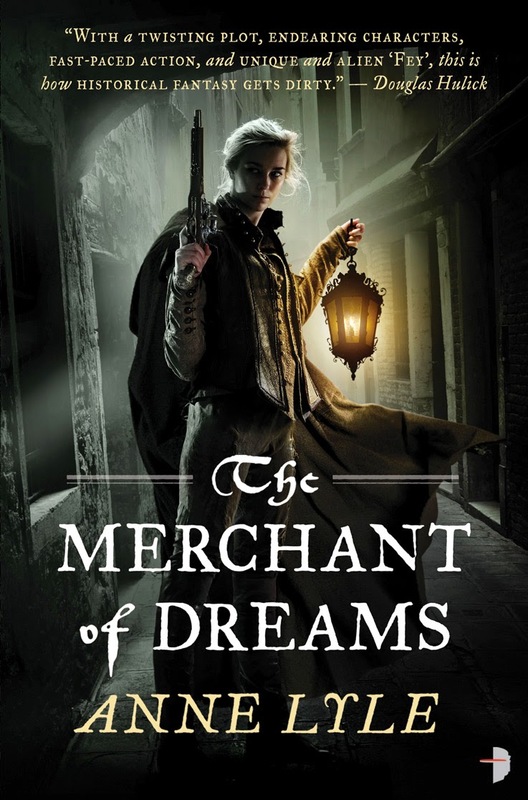 As with The Alchemist of Souls this is an entertaining and well-written historical fantasy. The action moves from London to Venice - and various places in between - and the setting is well-researched and varied, expanding the Elizabethan backdrop of the first book to a wider European setting. There also is development of the skraylings, an interesting invention of the author that are unlike other non-human races I've encounter in fantasy. With Mal's brother now reunited with the people of his soul (if not his current body) we learn more about Skrayling culture and also the various factions within that group. The characters feel realistic, even when they're going through unlikely things, and we're able to empathise with most of them even when they are at odds with each other. Mal is still the hero, but though he displays bravery and compassion he also does things I did not approve of. Coby's complex relationship with her gender is explored, as she ends up having to try and be female after years of living her male disguise. She also comes into a fuller understanding of her feelings for Mal, but is able to keep to her principles and beliefs even when these are not important to those around her. Ned and Gabe's relationship has deepened between books, but both still have their jealousies and insecurities, and Ned in particular has an attitude that refuses to be cowed. I'm never quite sure what to expect from this series, and again the story took twists and turns I hadn't seen coming. The pace of the story worked well, and the various complications experienced by the characters all made sense even if I did not see them coming. The setting is familiar, but the premise is different to Elizabethan fantasies I've read before and so my expectations and preconceptions are limited. I think I have a greater understanding of how Skrayling rebirth works, and some of the wider story elements that will appear in the final book, but there's still plenty of room for Anne Lyle to surprise me.